Oh boy it's been a heck of a 1st quarter. But I'm hanging in there. 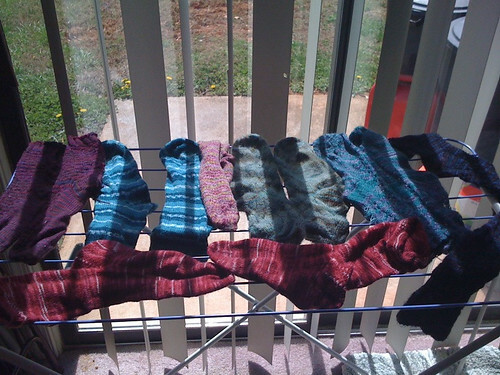 I did finish my March socks a few weeks ago, and shared them on the Year of Stash Socks blog. 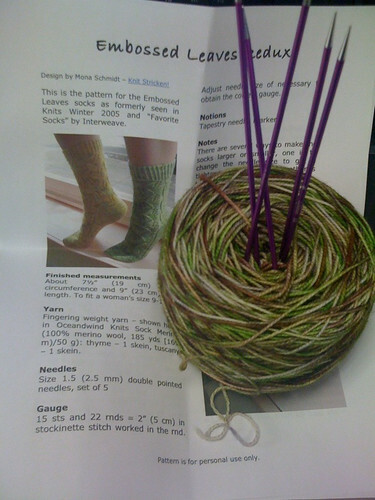 I've also already gotten started on my April socks. I'm really pleased with how the pattern/yarn combo is turning out so far! 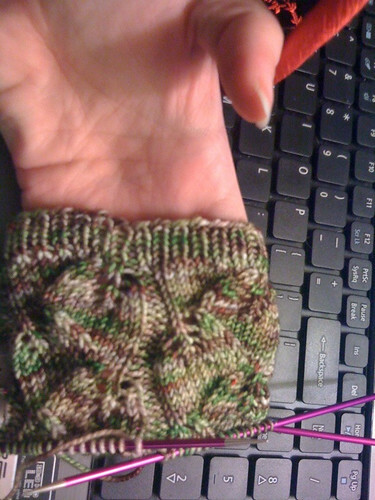 Definitely looks like leaves :) Seems a bit more fall-like than spring, but that's ok.
One of the things about hand-knit socks is hand- washing them. I washed most of my socks today by soaking them in the sink with some Soak, and then letting them air dry. more are hanging in the bathroom.. I think I need a second thingy. I still have not bought ANY yarn, except for one skein which I purchased with a Loopy Ewe gift certificate Sam gave me. I've gotten so good at avoiding temptation it took me several days to even pick out what I wanted!!! 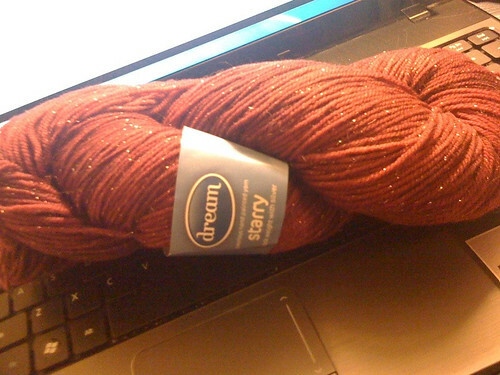 I ended up picking out some Dream in color starry, in a really pretty burgundy shade. I've heard that the electric conductivity in silver makes it so that cloth with silver in it will still allow you to use touch devices like iphones & ipads and whatnot. So we'll see!